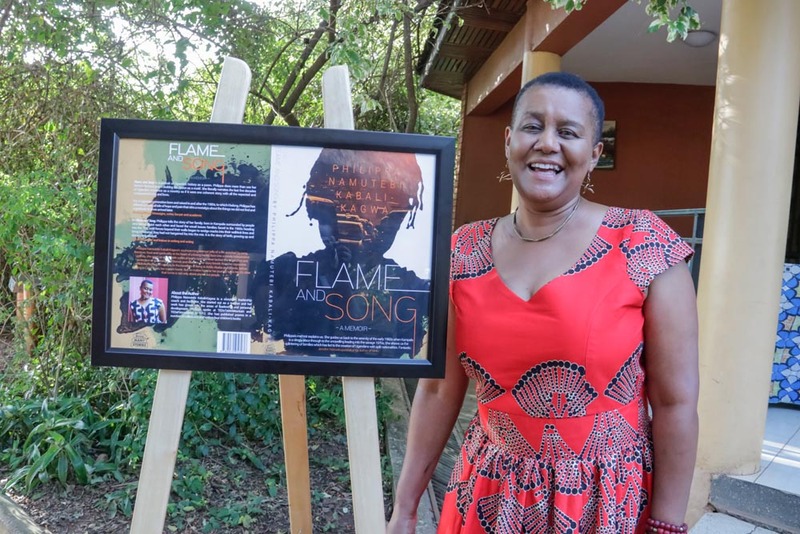 Philippa Namutebi Kabali Kagwa launched her debut collection of prose and poetry Flame and Song at a well-attended event in Kampala, Uganda on Tuesday April 4, 2017. Philippa Namutebi Kabali Kagwa was a child in Uganda in a period that has been indelibly seared into the minds of all Africans; during the murderous regime of Idi Amin. The young Philippa was the daughter of a civil servant called Christopher Henry Muwanga Barlow who also happened to be a poet of note under the pen name Henry Barlow. Barlow’s most famous contribution to the Ugandan literary lexicon was the poem Building the Nation. He would flee the country into exile with his family to escape the madness of the Amin administration. The young Philippa would grow up in three different countries of Ethiopia, Kenya, and South Africa. She became a useful member of the African society as a teacher and motivational speaker who featured at Ted talks where she was based. 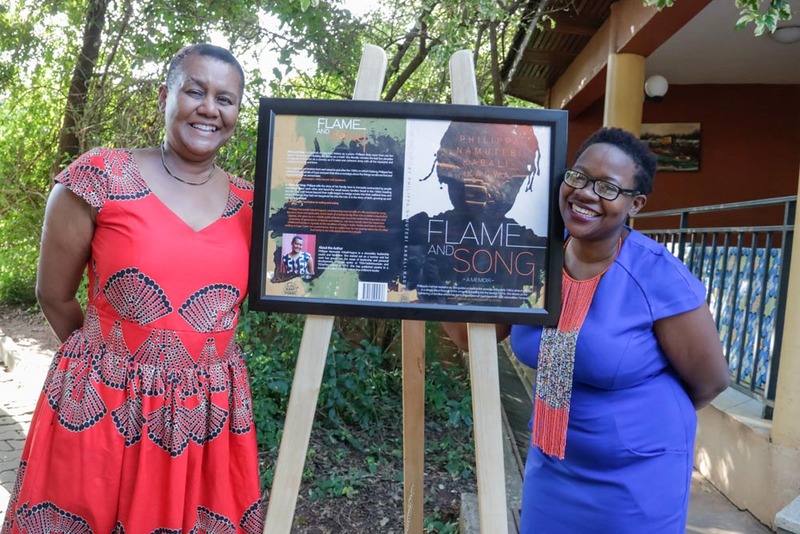 Last year the child of many nations followed in her father’s footsteps and published her debut collection Flame and Song. The collection was published in South Africa under Modjaji Books of authors like Yewande Omotoso and Futhi Ntshingila. It is a memoir of a life enriched by song, literature, food and spirituality at the heart of a loving family who move from Uganda to Addis Ababa to Nairobi to Cape Town. On April 4, it was the time for her countrymen and countrywomxn to enjoy that which had already received positive reviews in Cape Town. She would debuting her collection with her Ugandan publisher Sooo Many Stories at the Ibamba Restaurant at the Uganda Museum in Kampala. The event was a tribute to the past and nod to the future. 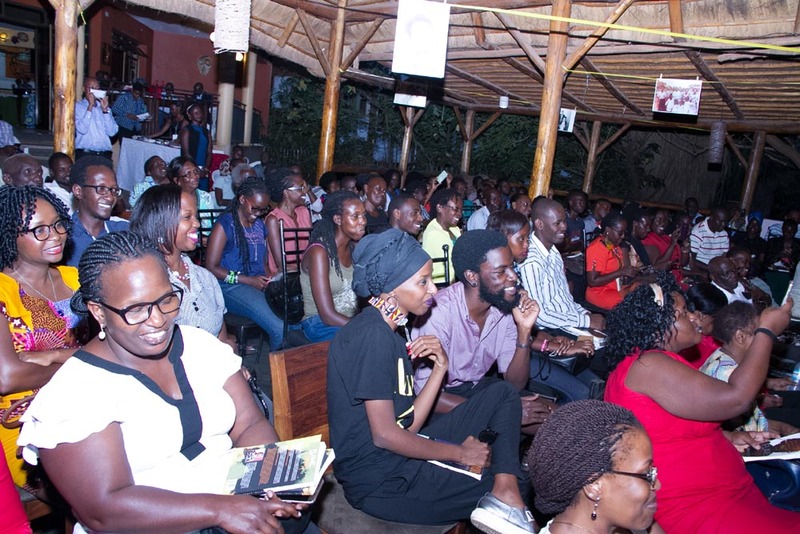 The past was seen by poet Kagayi Peter who recently launched his debut collection as he did a performance of Henry Barlow’s iconic poem Building The Nation. 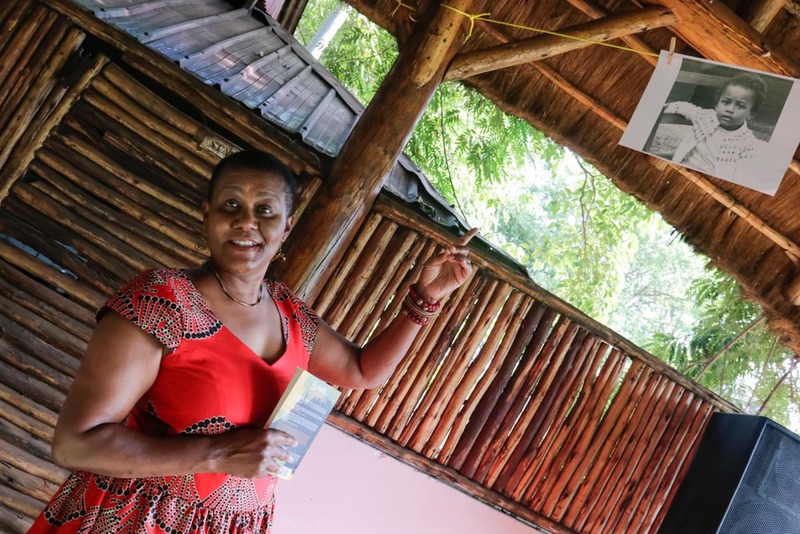 The future was represented by Melanie Kitongo, Elsa Arinaitwe and Mitchelle Barlow grandchildren to the famous poet past and nieces to the current poet. The three gave emotional readings of poem in the collection about family members that had passed away. Then there was the poet herself Philippa who sang, narrated, and performed texts from her collection. It was a thing of beauty. Away from the performances, there was a question and answer session where the poet got to talk with a moderator who was journalist Josephine Karungi. The launch ended like you would expect in a book launch nowadays; selfies and autograph signings. The book is available in Kampala at Aristoc Bookstore at UGX32,000. Here are more images from the book launch courtesy of Tweny Moments.